Makati City welcomes the Christmas season on November 3 with a traditional street lighting ceremony – a highly anticipated affair that will transform the premiere business district into a Christmas wonderland. As the enchanting lights are turned on, the whole stretch of Ayala Avenue, Paseo de Roxas, and Makati Avenue will sparkle with colorful lights that evoke the splendor of Christmas. Stained glass wrapped around palm trees and kinetic windmills will dot the street islands, converting them into Christmas landmarks featuring themes closest to people’s hearts – the Holy Family, the Three Kings, angels, Christmas parols and gifts. These beautiful installations showcase Ayala Land’s commitment to bring the magic of Christmas to its community. Makati aims to give a distinct, exceptional look for its much-anticipated street lighting every year. This 2016, the city drew inspiration from the iconic stained glass designs of old medieval churches. The busiest streets of the metro will be adorned with intricate patterns and designs of old church windows, bursting with vibrant and colorful hues – providing an instant holiday vibe, as well as the perfect backdrop for selfies. 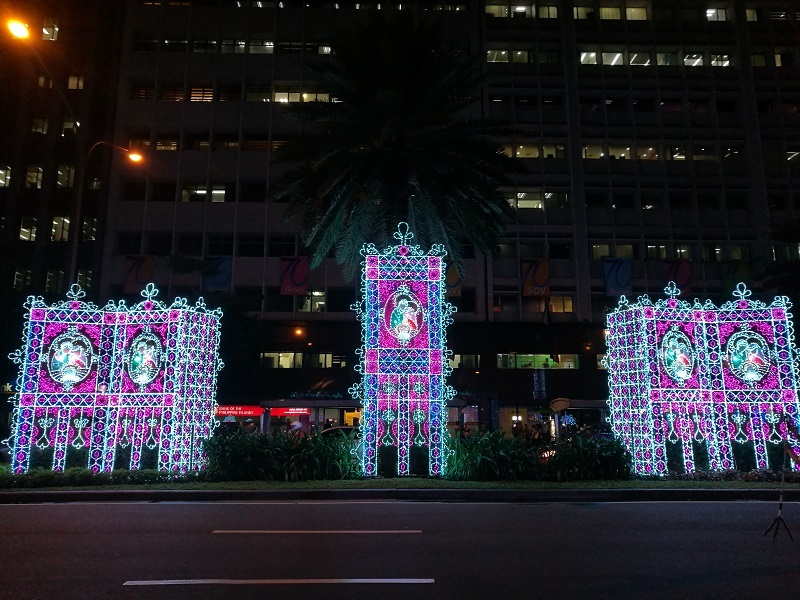 These beautiful installations showcase Ayala Land’s commitment to bring the magic of Christmas to its community. “Christmas is indeed the most special time for Filipinos who traditionally come to Makati to take part in yuletide festivities. Each year, we aim to bring good cheer among those who work and live in Makati. 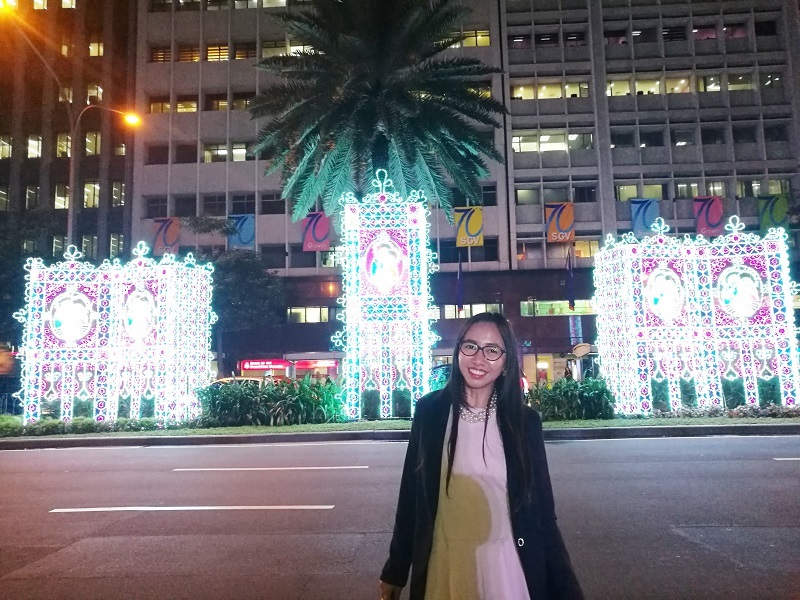 By lighting up the major streets of the Makati Central Business District and bringing the Festival of Lights to Ayala Triangle Gardens, we hope to create priceless memories that will linger in the minds of people,” said Shiella Aguilar, Project Development Manager of Makati. With the city bathed in the colors of Christmas, Makati will once again mount the much-anticipated Festival of Lights at the Ayala Triangle Gardens, an immersive and magical lights and sounds show. This distinctly Makati tradition, which has been cited as one of Conde Nast Traveller’s Seven Most Spectacular Lights in the World, is sure to delight the whole community with its masterful blend of lights and music. Ayala Land, together with its co-presenter HSBC and partners MasterCard and Sun Life, presents the Festival of Lights every 30 minutes nightly, from 6PM to 10PM, starting November 15 through January 8, 2017. Over at Circuit Makati, an amazing 56-feet outdoor Christmas tree rises high from November 18 to January 8, 2017, offering an amazing, immersive experience! And because Christmas is about generosity, abundance, and gift giving, the city will host the biggest outdoor Christmas Bazaar with over 500 merchants of great holiday finds, celebrity booths, musical performances, and outdoor games. The Circuit Makati Bazaar will happen at the Globe Circuit Events Grounds on November 18-20, from 11AM to 12 midnight. Christmas is not just about the food and the gifts as prayer and thanksgiving should be at the forefront of our celebration. Gather your loved ones for the daily thanksgiving masses that will be held from December 15 to 23, 6PM, at the Ayala Triangle Gardens. Witness high school chorale groups showcase the real essence of the holidays through well-loved Christmas carols at the Makati Inter-High School Caroling Competition on December 19 at the Globe Circuit Events Grounds. Indeed, Christmas is the most wonderful time of the year, especially in Makati, as it brings families, friends and colleagues together in its memorable holiday traditions. For more information about the city that makes it happen, visit www.makeitmakati.com and follow MakeItMakati on Facebook, Twitter, and Instagram. Hahaha yeah, that's the reason it's more fun to celebrate Christmas here in our country! What a fun concept! We might be doing something similar down at Niagara Falls in Ontario and I plan on visiting! I love how it brings the community together and gets them all going out! in Niagara Falls????!! Wow, that will be so cool! Next week we are launching the dancing lights at the park, and that another huge events this season. Christmas is my favourite time of the year. The lights look so beautiful and it's so cool that inspiration was taken from stain glass windows in medieval churches. Tomorrow we will launch another light installation along Ayala Triangle Park and it will be more spectacular! Oh, wow, you start early! We only turn the streetlights on a month later, on December 1st. But the photos look amazing and it does sound like a great event to witness. Yes, the lights lighten up early to give that merry spirit and delights to everyday commuters, anticipating the coming Christmas season. Oh how lovely! I adore Christmas lights and it looks like Makati will look beautiful. I really hope to get to the Philippines someday. You will surely LOVE our Christmas season! You won't feel alone because everyone have that happy faces! Only in the Philippines! Haha! Ours must be the longest Christmas on Earth, Blair, no? Exactly, some visitors finds it too much, but we Pinoys there is no too much during Christmas. All is okay. I am thoroughly excited now seeing these preparations for Christmas! I wish I could be there to see all this. I love the festive times and the events; I wish there was something like this in Delhi too. You are lucky to be attending it!! Thank you Divya! But your festivals are more colorful! I love when a town turns on the Christmas lights. I used to go every year in my home town. I don't go anymore because now I live in England and it's way to crowded to take part in the opening ceremony. I like the lights from Makati city, and it's really nice that there will be events all the time till Christmas too. I had never heard of Makati City, but it looks so beautiful with all the lights! Christmas season is the best time to see such fun festivities. Oh you should visit Philippines next time. Makati City is the center of commerce her in Manila. REading your post makes me miss home more. I've already missed 2 consecutive Christmas. The Christmas feels in the Philippines is way more better compared to where I am now. Hope you will celebrate this Christmas with your family. Yes, most of the visitors here always says they enjoy the holidays here. One thing I would describe it - you won't feel lonely! Christmas here is like everyone knows you because they all keep on smiling, especially the kids. Christmas Lights and instantly the kid in me gets excited.Such a beautiful and colourful theme last year was.What is the theme this year? Last year's theme is the Holy Family, and baby Jesus is in his manger. Christmas spirits permeating though your post and pictures. Time to get those Christmas goodies out. I just experienced a dose of it at Landour in Mussourie. The resort I stayed in was all decked for Xmas already. The Christmas light looks so beautiful. Will plan my visit there. Hello Jane, yes please visit Makati! Such amazing light installations that get you in the Christmas mood! Love the concept, I’d love to visit Makati City one day!